What does ‘Wicked’ say to you? To me it says bold, it says sinful, it says indulgent, it says chocolate. On a food-writing course a couple of years ago, the lecturer implored us not to use the word wicked in association with chocolate. I slid down in my chair a little when he said this as for me it was too late, by that stage my book ‘Gimme the Recipe’ was submitted and there was no turning back. But now I’m glad that is what they are called because these really are truly wicked. Indulgent, bold and sinful, all the bad things that makes something really good. …or just enjoying on their own. 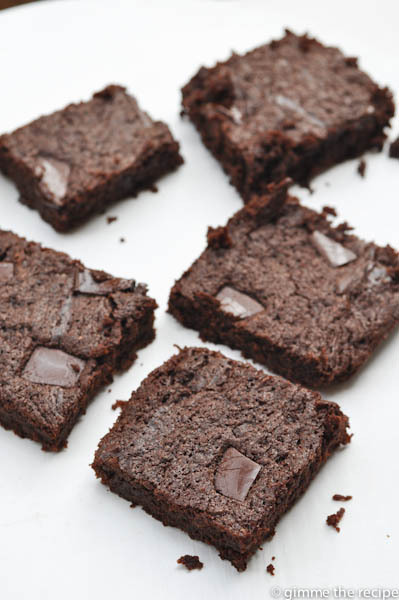 I mean just look how moist they are, seeped in luscious chocolate and if that weren’t enough extra chunks bob along the top semi-melted and tipping you over to the dark side. Indulge, enjoy! Preheat the fan oven to 160oC/Gas mark 4 and lightly grease and line a baking tray with a little butter and baking parchment paper. 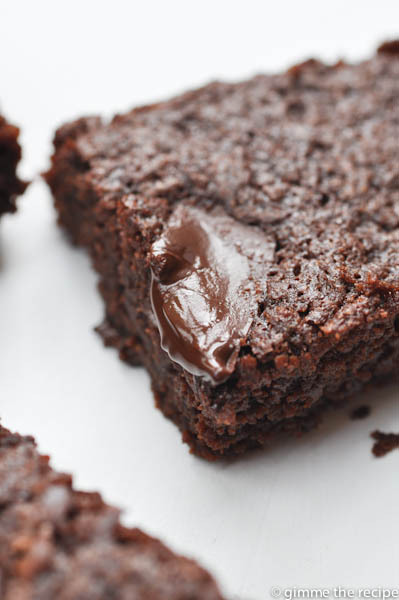 Break up 300g of the chocolate (reserve 50g for later) and cube the butter and melt them together in a bowl in the microwave (low power 1 to 2 minutes) or over a saucepan of warm water. Gradually add the sugar and stir well. Lightly whisk the eggs in a bowl and then stir into the cooling chocolate mixture until smooth. Pour the brownie mixture into the baking tray and break up the reserved 50g of chocolate and press it in here and there. Bake for 25 minutes until the top is looking settled but the centre is still soft without being too gooey. 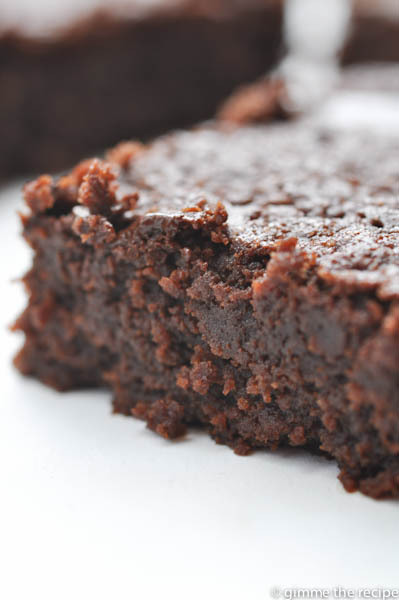 Leave to cool, dust with icing sugar and cut into 12 or 15 brownies depending on size of tins used.